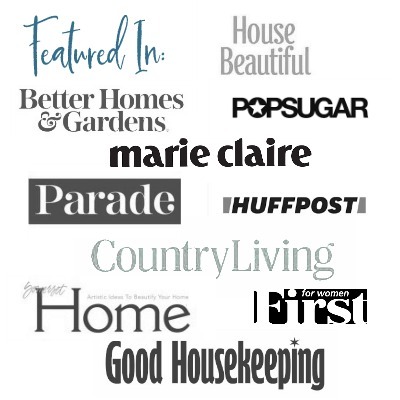 How many times have you purchased a grapevine wreath? I know I have purchased many. They are not very expensive, and they work well with so many projects. 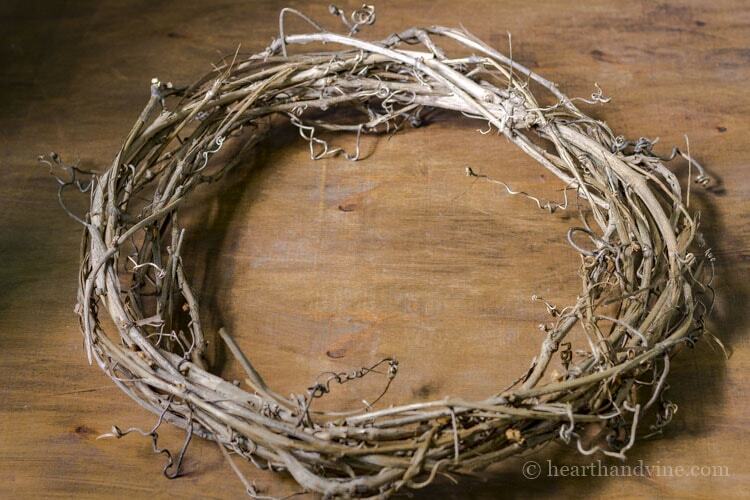 However, did you know you can make a wild grapevine wreath from vines you may have growing in your backyard? 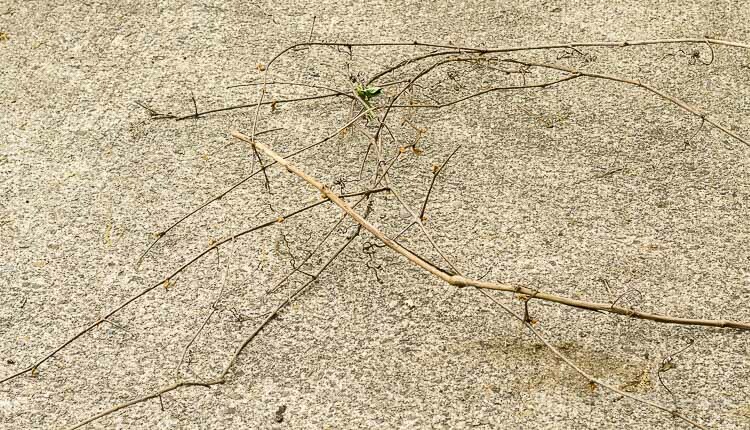 Here’s a pic of a wild grapevine growing in the garden. It’s a real pest, and I do my best to pull it out during the season. However, invariably there are still some around when it comes time for winter cleanup. Like this long one pictured above. Instead of throwing it in the compost, or waste pile, I decided to make a wreath from the old vine. The process is incredibly simple. 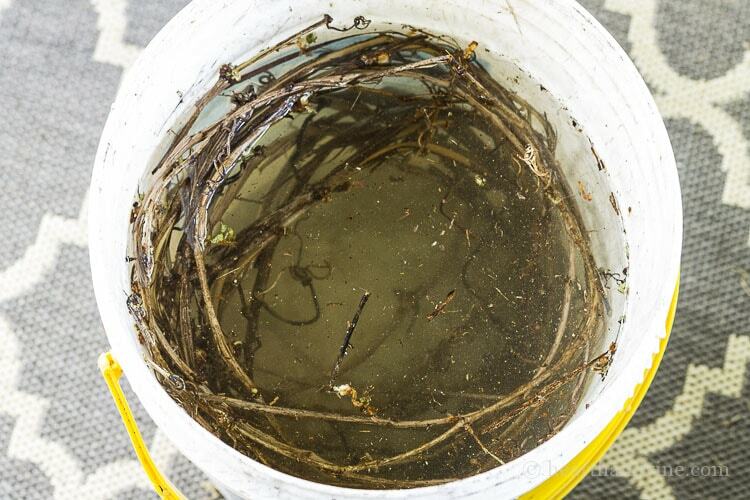 Just soak the grapevines in a bucket of warm water for about an hour. This will make them softer and flexible. 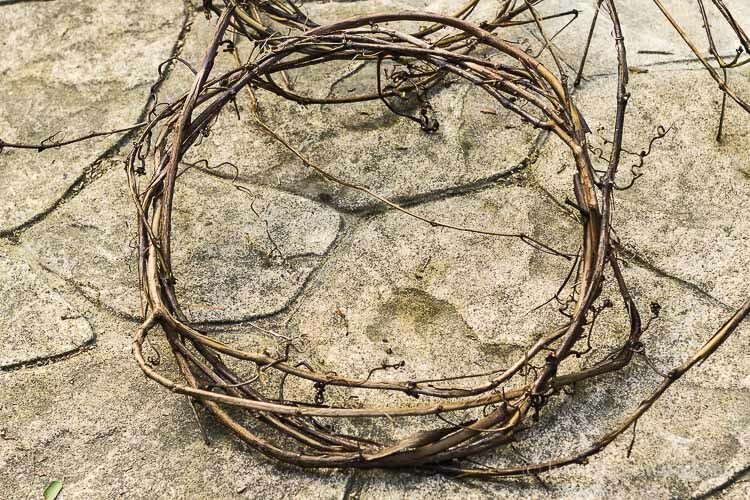 Pull the vines out of the bucket, and start at one end, making a circular coil. Use the side branches to wrap around all the vines, keeping tidy and neat. 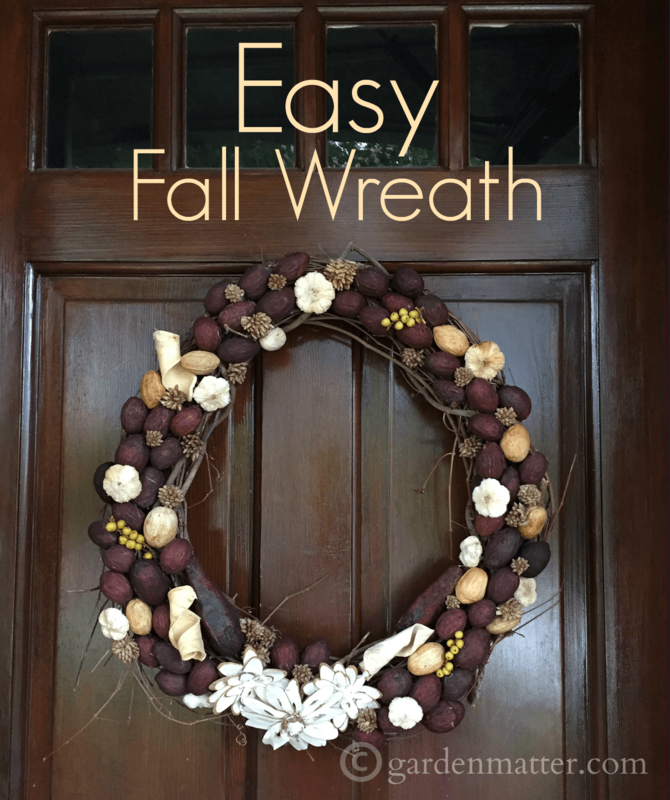 Allow the wreath to dry overnight, and it’s ready for any decor project. They last a long time, so you can also store them for future use. You can make them as big or small as your harvest allows. 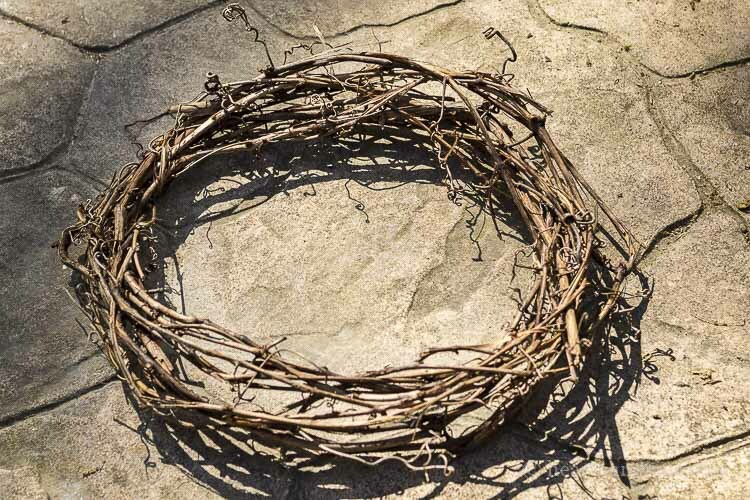 If you have a ton of vines, you might consider selling these wild grapevine wreaths at a local market. With zero cost in materials, and very little production time, the profit margins are pretty good. 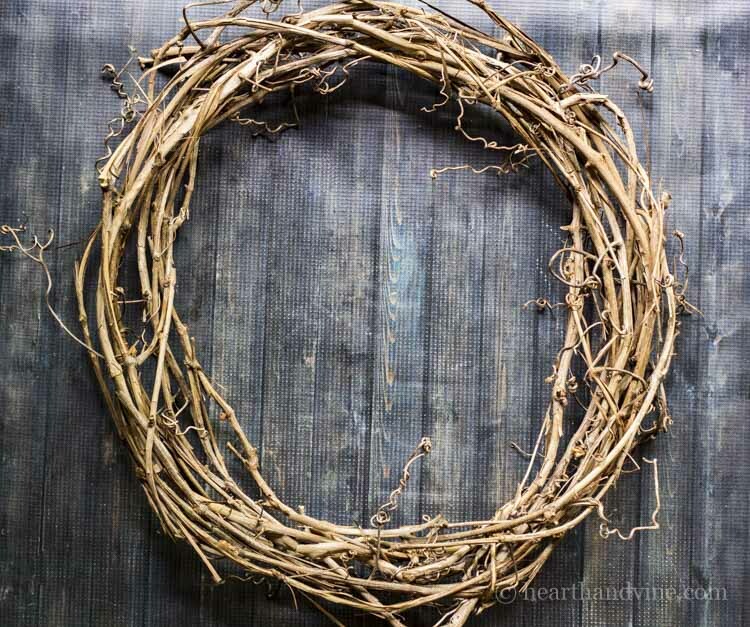 If you don’t have grapevines growing in your area, you can make wreaths from other vines too. Here’s a good video on how to make a wreath vine from fresh Virginia Creeper and Honeysuckle. 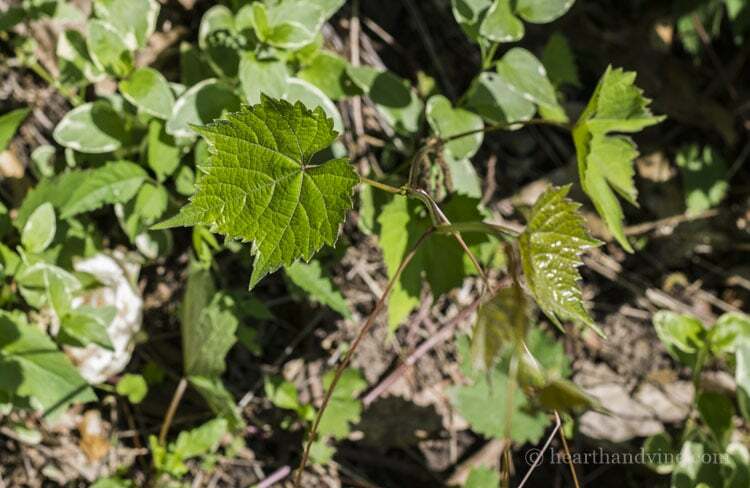 Safety Note: Make sure you know what you are working with, so you don’t end up making a wreath with poison ivy. for more great project ideas. 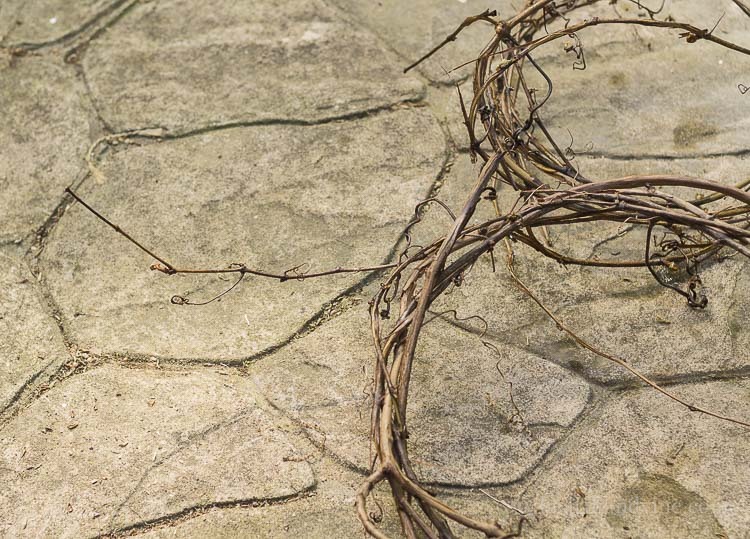 Can you make the wreath with vines that are still green & just allow it to dry/harden? Yes, you can use green vines too. A wreath from roots? That’s a first but why the heck not? I love it! Thanks for sharing your wonderful idea! I made mine from Wisteria vines too. Living in wine country that may seem odd but it was what I had growing and had plenty of when I pruned it to keep it in check. Making wreath base is fun because you can create what you want. I’ve made wreaths using wisteria vines, they’re thicker but so fun to work with. Great tutorial and a neat reminder that sometimes we should begin creating with what we have before running to the store. Definitely opens the door to thinking outside the box which is always fun. Yes. Wisteria is another great option. Thanks for mentioning it. I know I always get a thrill from creating something from nothing or for free so I hope my readers do too.